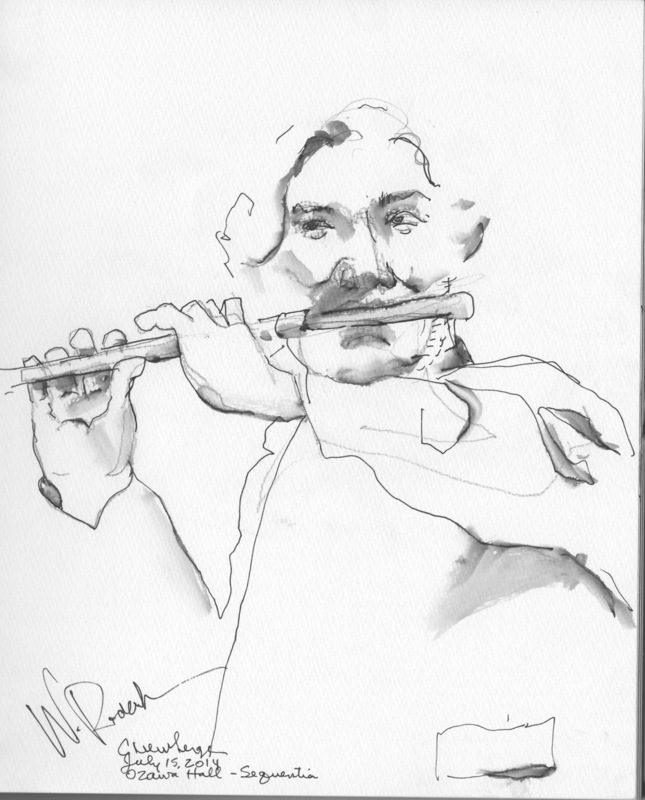 Drawn in concert. Norbert Rodenkirchen on Baroque flute with the Senquentia Ensemble, Tanglewood, July 15, 2014. Pen and Ink wash on paper. Signed by Mr. Rodenkirchen.